Got the game on Steam couple of days ago. Got to first live-action episode. Unfortunately it cannot stream. Just connects for a moment to 2.22.8.225 and 2.22.9.25 and ends up with this screen. Someone earlier mentioned the scenes would not play if your pc did not have internet explorer installed. Have you deleted it? I'm getting this error too on Windows 10 with the Windows Store version. Has Remedy or Microsoft discontinued the streaming service? 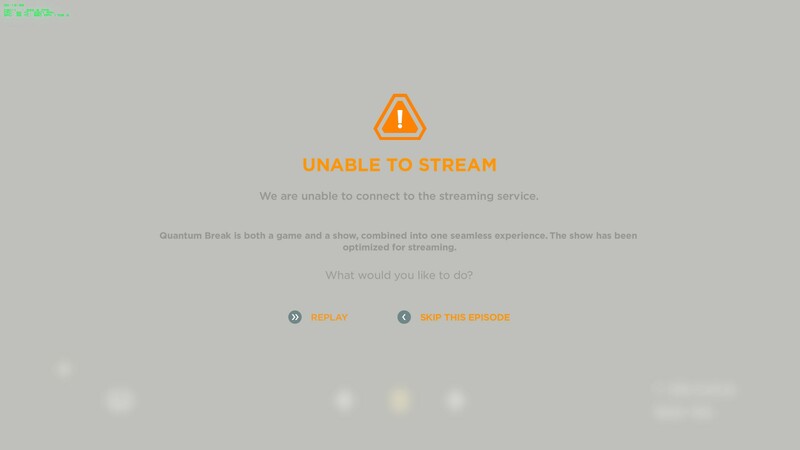 Can anyone with the Steam version confirm episode streaming is still working? Streaming is working for me, I just tried. Unfortunately that is what happens when the Video files for offline playing them are available only for XBOX players and not us PC players who legally payed for the game. It's insane isn't it ? I hope Remedy/Microsoft officially fix the problem, or make the video files available for off-line downloading for PC players too.